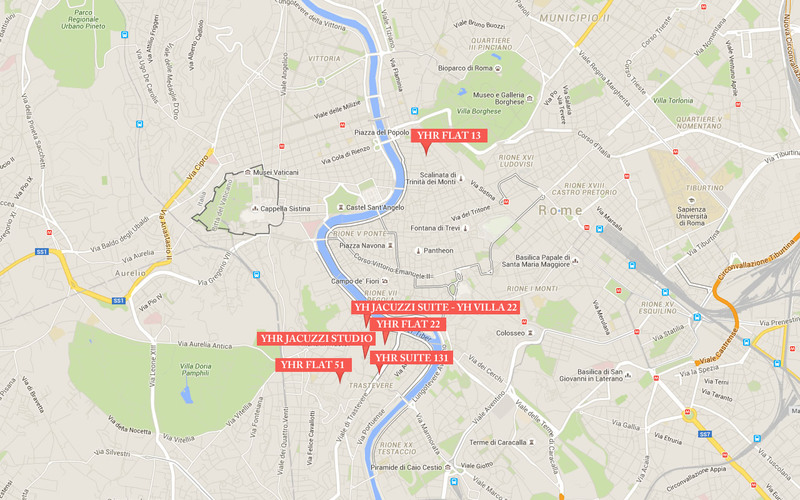 YHExclusive® brand offer luxury accommodation, Apartments and Suites, strategically positioned in the heart of Rome. With separate properties a few metres of distance from each other – GUESTHOUSE YHExclusive SUITE 131, YHExclusive FLAT 51, YHExclusive FLAT 13 and YHExclusive FLAT 22. Guests can choose between Guesthouses suite accommodation, or for those who prefer more independence, YHExclusive® also offer fully furnished and high-end apartments, up to 6 people. You can rely on us to find you a perfect place to call home during your stay in Rome. Our goal is to provide you with an unforgettable living experience. YHExclusive® brand offers two types of accommodations – Guesthouse Suites, and sprawling luxurious Apartments located in the heart of Rome. Our Guesthouse, YHExclusive SUITE 131 are decorated and furnished in an opulent modern style, the Suites enjoy free Wi-Fi access, air conditioning and complimentary Italian breakfast served in the Breakfast Room. YHExclusive® sister properties, the apartments YHExclusive FLAT 51, YHExclusive FLAT 13 and YHExclusive FLAT 22, offers high-end furniture and all comfort. The apartments are fully equipped with free Wi-fi access, air conditioning, TV flat screen, kitchen area with washing machine and toiletries. 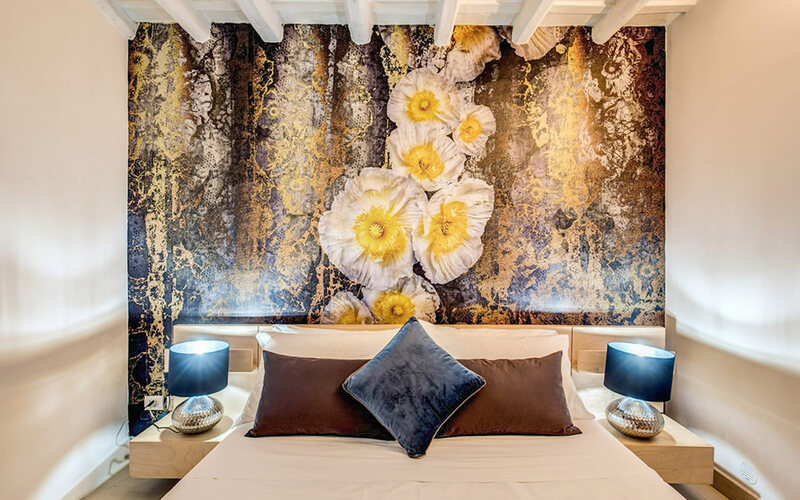 Situated in the picturesque medieval district of Trastevere famous for its lively and charming atmosphere, cobbled streets, restaurants and bars, Guests of YHExclusive® are in one of the most sought after areas of Rome. 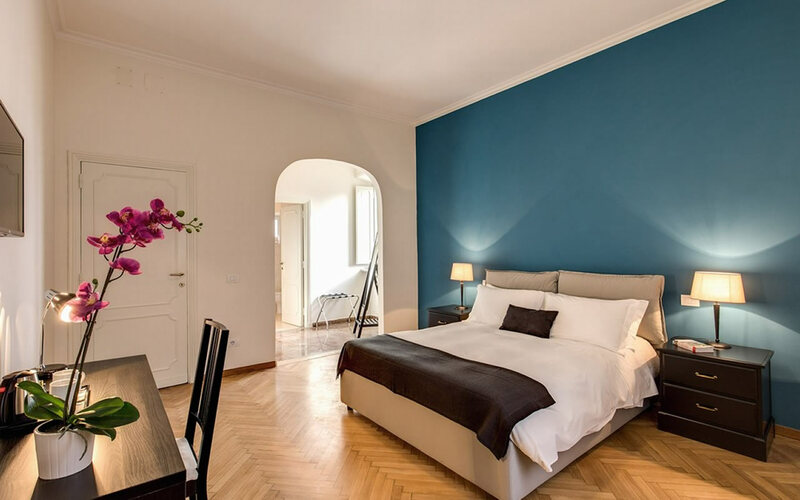 Within walking distance of many of the major tourist attractions, our accommodations is also close to Trastevere railway station in addition to access to the tram and bus network to transport Guests to the entire City. Trastevere Station also has a direct train to Fiumicino Airport as well as Termini Station – the transport hub of Rome. Rome is overflowing with cultural, historical and artistic treasures and exploring the Eternal City along its winding cobbled streets can be tiring. At of YHExclusive® however, you can relax in luxurious accommodation and pamper yourself after a hard day's sight-seeing. Deluxe and abounding in comfort, our suites and apartments give guests the maximum choice for the type of place they want to stay. Although our accommodation is already great value for money, we also periodically publish a variety of Special Offers to ensure that our guests get the best bargain possible. By booking through this our Official Site, our secure booking system also ensures that you are offered the best possible prices available anywhere!